We come in different colors and sizes. Different teachers and schools of playing. Different fingerings and different techniques. Different shoulder pads…chinrests, rosins and strings. What bring us together as violinists anyway? 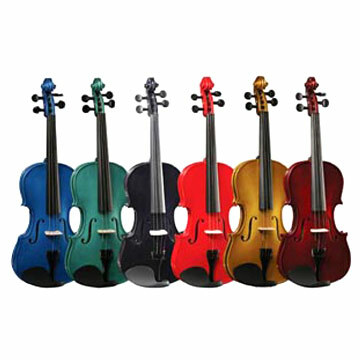 It is the dream of all aspiring professional violinist… even of those who wish to pursue a career as an orchestral musician. We all want to perform the big concertos at the highest level we can. When you start the Tchaikovsky violin concerto or the Beethoven or Sibelius… that feeling of power and achievement is incomparable. You finally got permission from your teacher to play it! You know you got there and you are about to start what Heifetz accomplished really, really, really well. That scares you but you want to do it more than anything. After a while, perseverance is what keeps you going. It starts getting tough but you manage to keep learning until that one day. The day you can play the whole concerto from memory. It’s a big day. Nothing can be more gratifying that running through the entire thing and feeling you have accomplished a good job. They always talk about how arrogant we are as members of the first violin section. They have no idea how hard is to play in tune as a section, how hard is to play in the stratosphere or even the huge amounts of pressure you have just to sit as the concertmaster. Our parents complain because music is not going to make you rich. We spend long hours practicing Don Juan for auditions and don’t get in. And by intact I mean- there is still ups and downs but in the end we finish in the practice room trying to make it better next time. It’s called LOVE for what you do! It is the love for our soprano voice among the string orchestra. The reason why we couldn’t do anything else in the world. We are the prove of self-developing beings who always aspire to do it better next time- to keep improving knowing that the sky is the limit. Preach it, live it and be proud of who you are… a VIOLINIST! Much as i love your enthusiasm and rah rah rah - If what you say is true there are 0.001% successful violinists and 99.999% unsuccessful ones! I do think there are lot - possibly most violinists - who learn the instrument with much humbler or different goals and have no aspirations to be a soloist or play the Big Concerto (myself excepted of course :D ).